The Interior Alaskan Wolf, also known as the Yukon Wolf, was classified as the Canis lupus pambasileus in 1905 by zoologist Daniel Elliot. It is among the largest wolves in North America, if not the largest. Some believe that it is just an extension of the Alaskan Tundra Wolf. They are distributed throughout the interior of Alaska and the Yukon, except the tundra region of the arctic coast. 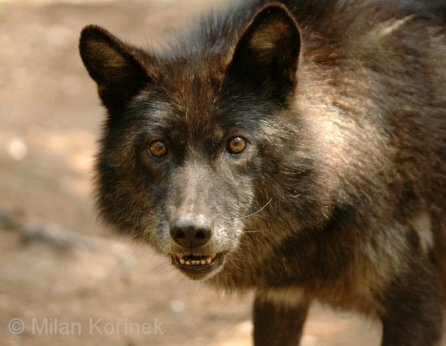 Interior Alaskan Wolves are usually of a darker color, most often black or black mixed with either brown, gray, or white. They are very large wolves, measuring 5 to 7 feet in length from tip of nose to end of tail. They are at present the largest wolves in North America and possible the world. Some of what they feed on are caribou, moose, dall sheep, hares, and ground squirrel.